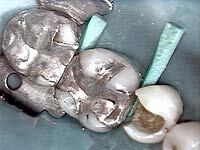 Traditionally, small areas of tooth decay have been treated with amalgam (silver) fillings. However, many individuals have expressed concern over the aesthetic challenges involved, along with risks of mercury exposure. Dr. Brown chooses to use white, tooth-coloured fillings as a convenient and safe alternative. Good brushing is not the only way to keep cavities at bay. Daily flossing is essential to removing bacteria between the teeth that can erode the enamel. First, the tooth being treated will be numbed. This involves a small bit of anaesthetic being injected into the area around the tooth, so that no discomfort is felt during the procedure. Next, Dr. Brown will remove the damaged tooth surfaces, so that only healthy tooth structure is remaining. Generally speaking, less tooth surface needs to be removed when you have a white filling placed, because the material bonds directly with the tooth. With a silver filling, additional tooth structure must be removed, as the restoration is “wedged” into place. 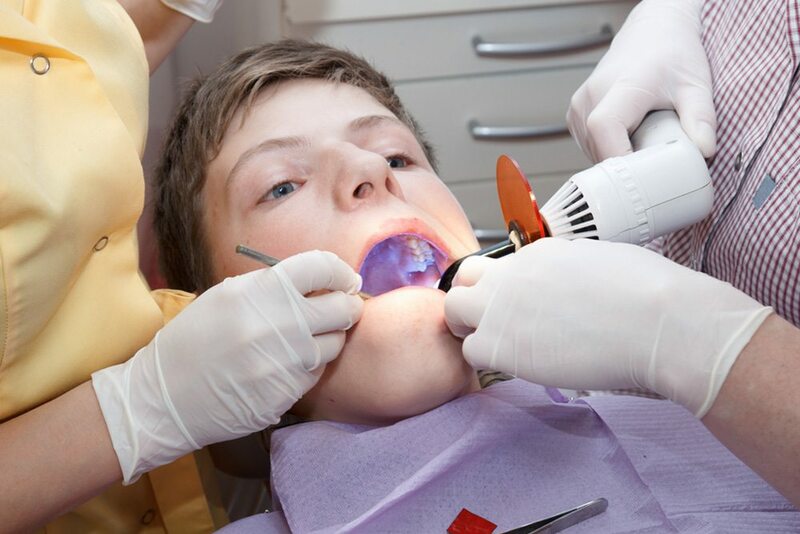 Unlike a metal filling, composite restorations are colour-matched to your individual teeth. This allows the final restoration to blend in with your smile, so that other people do not notice it. Ideally, we prefer for you to be able to tell where your tooth stops and filling starts. 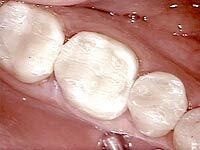 When we repair a tooth with composite material, it maximizes the amount of healthy tooth structure left behind. In time, this equates to less extensive dental work. Once a tooth has been filled, it is important to continue brushing and flossing each day. Otherwise, recurrent decay may develop around it.